ARIZONA - Social media giant, Facebook has successfully flown and landed an unmanned, solar powered plane made of carbon fibre composites. The drone aims to extend mobile broadband networks across the world, reaching the 1. PARIS – Hexcel Corporation has been selected to supply composite materials for the new Airbus H160 helicopter. Hexcel will be providing reinforcements, prepregs, adhesives and honeycomb materials for the H160’s composite fuselage structure and main rotor blades. Albany International reports that 2014 sales achieved by AEC, its composites business, surged to $30 million in the fourth quarter and $90 million for the full year, as the first wave of parts manufactured by its LEAP engine plant in Commercy, France, were released to aviation and defence company Safran. Shape-shifting materials that could make aircraft simpler and lighter, potentially saving fuel, are being developed by Airbus and researchers at MIT. CFM International?s LEAP engine took to the skies for the first time this week on a modified 747 flying testbed at GE Aviation Flight Test Operations in Victorville, California, launching the next phase of testing for the advanced engine program. The GE Aviation GE9X engine for the Boeing 777X aircraft will feature fewer and thinner composite fan blades than any GE widebody engine in service. A composite airframe has been developed for the Dream Chaser orbital spacecraft by Sierra Nevada Corporation?s (SNC) Space Systems and Lockheed Martin.? Toho Tenax reports that its Tenax TPCL thermoplastic consolidated composites have been qualified for use in the Airbus A350 XWB, the latest-generation extra-wide-body mid-size jetliner. Albany International and Safran have this week inaugurated their new plant in Rochester, New Hampshire, USA for the production of composites for aircraft engines. The test programmes for the new Airbus A350 XWB are currently being finalised, with the first delivery to Qatar Airways scheduled for the fourth quarter of? this year, and 814 orders to date. There?s something rather unique about the VX-1 KittyHawk aircraft designed by VX Aerospace based in Morganton, North Carolina, USA ? it has no wings. Having only announced an expansion of Torayca carbon fibre prepreg at its plant in Tacoma, Washington at the start of February, Toray is planning to build a second carbon fibre plant in South Carloina. ELG Carbon Fibre now has the capacity to recycle an annual 2,000 tons of carbon fibre composites each year via a highly energy-efficient and patented process at its plant in Coseley, in the UK's West Midlands. Toray Industries plans to expand the production of its Torayca carbon fibre prepreg for aircraft and automotive applications at its Toray Composites America (TCA) plant in Tacoma, Washington. The New York-headquartered Moog Industrial Group has been selected by Bombardier Aerospace in Belfast, Northern Ireland, to supply an aerospace test system to undertake a full-scale structural test on the CSeries aircraft advanced carbon fibre wing. French President Fran?ois Hollande and Dutch Prime Minister Mark Rutte attended the signing of a contract for the the next stage of the Thermoplastic Affordable Primary Aircraft Structure innovation programme (TAPAS) between Airbus, Fokker and TenCate on Monday January 20th. TenCate Advanced Composites has signed a cooperative marketing and development agreement with Leadgo Advanced Materials in Shanghai, China. The agreement will further support the growing market for advanced composites in the Chinese aerospace industry. Mubadala Development Company, the Abu Dhabi-based investment and development company, has entered into a strategic collaboration with Cytec Industries to establish an advanced aerospace material ecosystem in the UAE. GE Aviation has held a groundbreaking ceremony for the first plant in the world that will mass produce engine components made from advanced ceramic matrix composites (CMCs). Technical Fibre Products (TFP) is now successfully recycling carbon fibre composites into high value nonwovens.Speaking at last week?s Composites Engineering Show at the NEC in Birmingham, UK, TFP material specialist Mark James explained that the recycling of carbon-based composites is not easy once they are impregnated with resin. The Brazilian composites industry is on course to achieve sales of US$1.612 billion in its 2013 financial year which started in April.This represents growth of 8. The latest model of the famous red London Bus features a number of composite parts.Its rear end is comprised of five glass fibre-reinforced components based on Gurit?s Sprint ST 70FR matrix and Corecell M-Foam structural core. ADMACOM ? Advanced Manufacturing Routes for Metal/Composite Components for Aerospace ? is a new ?4 million EU7 project that is aiming to combine different materials including steel and metal alloys, ceramics and ceramic matrix composites. Airbus, Boeing, Bombadier and Lockeed Martin are among companies on the advisory board of the EU-funded SUSRAC project which is exploring second-life options for composites. Composite materials consumption in the global rail industry experienced high double-digit growth from 2007 to 2012 and greater growth in composites material consumption compared to the growth in the number of global railcars sold demonstrates the increase in the average composite materials content per vehicle over those five years. Virgin Galactic has successfully completed the second rocket-powered, supersonic flight of its SpaceShipTwo (SS2) developed by Mojave, California-based Scaled Composites. OceanGate, based in Seattle, Washington, has completed the carbon fibre composite hull design and feasibility study for its next generation manned submersible, the Cyclops, developed with Boeing and theUniversity of Washington. A new milestone in the history of aviation was set on July 6 when the Solar Impulse landed at New York?s JFK airport.The landing marked the completion of the composites-intensive plane?s crossing of the USA from the West to East Coast with using a single drop of fuel. Hexcel and Safran have signed a long term contract for the supply of composite materials for LEAP-1 engines developed by CFM International.The contract covers Hexcel?s HexTow IM7 carbon fibre that will be used to manufacture all LEAP-1 engine fan blades and containment cases, including those selected for the Airbus A320,the Boeing 737MAX and the COMAC 919. The first flight of the Airbus A350 XWB will take place tomorrow (Friday June 14th) in Toulose, France at 9am.The extensive application of composites ? comprising 53% of the overall airframe compared to 11% for the established A330 ? means the new plane benefits extensively from their design and manufacturing advances, Airbus says. Lockheed Martin has selected LAST lightweight composite armour manufactured by QinetiQ North America (QNA) to protect the US air force?s AC-130J aircraft. Small production runs of aerospace and automotive components will dominate the future 3D printing market, according to a new report from Lux Research.This will have a value of $8. The Air Ethic project brings together Paris-headquartered Zodiac Recreational, a leading international inflatable boat designer, and theresearch, innovation and development centre of the Dehondt Group based in Notre Dame de Gravenchon, France, which isspecialised in flax fibre technical developments. 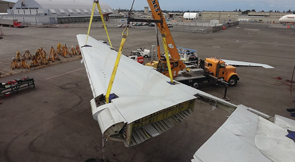 With the aerospace industry focusing on reducing aircraft weight and lean manufacturing, engineers are searching for reliable solutions such as thermoplastic composites that can perform with at least the same assurance as traditional metals and thermosets. Today at the JEC Composites show in Paris, Hexcel has been providing details of its work on the Airbus A350 XWB, which takes carbon composites to a new level and represents the largest contract in the company?s history, with overall revenues of between $4-5 billion. Professional cycling team Argos-Shimano is now using road bike frames made by Felt Bicycles with Oxeon AB?s TeXtreme spread tow carbon fabrics.The Felt-sponsored Argos-Shimano team began racing their new F-Series FRDs just two weeks ago at the UCI WorldTour race, Tour of Qatar and went straight to the Tour of Oman (Feb 11-16) where Marcel Kittel (GER) won the opening stage. A ?100,000 UK research project is set to evaluate the potential use of biocomposites in the production of future automotive vehicle bodywork panels.The ELCOMAP (Environmentally friendly lightweight composite materials for aerodynamic body panels) project will research the potential alternatives to composite technologies currently in use such as carbon fibre and epoxy resin systems. Boeing and BMW Group plan to jointly research carbon fibre recycling as well as sharing knowledge on carbon fibre materials and manufacturing.Boeing?s 787 Dreamliner is made up of 50% carbon fibre material and BMW will introduce its i3 and i8 ranges in 2013, making recycling composites at both point of use and the end of life critical to both companies. Boeing is currently exploring the use of flax-based composites as the basis for future interior aircraft panels.In the ?1.59 million EU Cayley project, Boeing Research and Technology Europe has teamed up with German composites company Invent Innovative, the Belgian flax specialist Lineo and the AIMPLAS research association in Spain to explore potential alternatives to the exising interior panels which are commonly manufactured from glass fibre and phenolic resins. Composites are the key to the new HighQ lightweight container which has been developed by DSM in cooperation with multimodal transporter Samskip and is poised to achieve considerable cost savings and increased efficiency for the transport sector. Airbus is launching ?Fly Your Ideas? ? a UNESCO-backed biennial competition challenging students worldwide to develop new ideas for a more sustainable aviation industry. ICCO Composites is to supply 20km of pultruded top contact rail to the Bangkok Metro in Thailand.The French company produces top contact third rails which are up to six metres long and comply to all safety and resistance requirements. Corima, a leader in the manufacture of carbon fibre bike wheels for road racing, supplied the Pro-Team Astana and Saur-Sojasun teams in this year?s Tour de France.